When ready to serve, whisk the cream into stiff peaks with an electric mixer. Dollop the raspberry jam or Raspberry Compote into the cream & swirl through. Place fresh raspberries, caster sugar, lemon, water and vanilla in a saucepan and simmer over a low heat until sugar has dissolved and has thickened slightly, approx. 5-10 minutes. Do not boil. It will continue to thicken slightly as it cools. Transfer bowl of compote to fridge & leave at least 1-2 hours before serving. Cut the pavlovas in half & spoon on the cream. 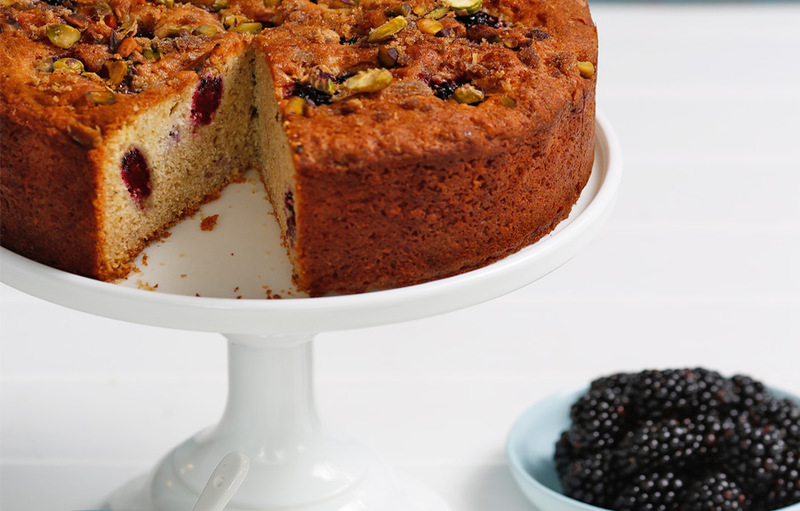 Top with the fresh raspberries & some extra sprinkling of pistachios. Top with the other half of the pavlova & another light dusting of cocoa, if desired. Any undissolved sugar will cause the meringue to weep, so make sure it is dissolved by feeling for granules in the silky meringue. The pavlovas can be made a day or two in advance & kept in an air tight container. 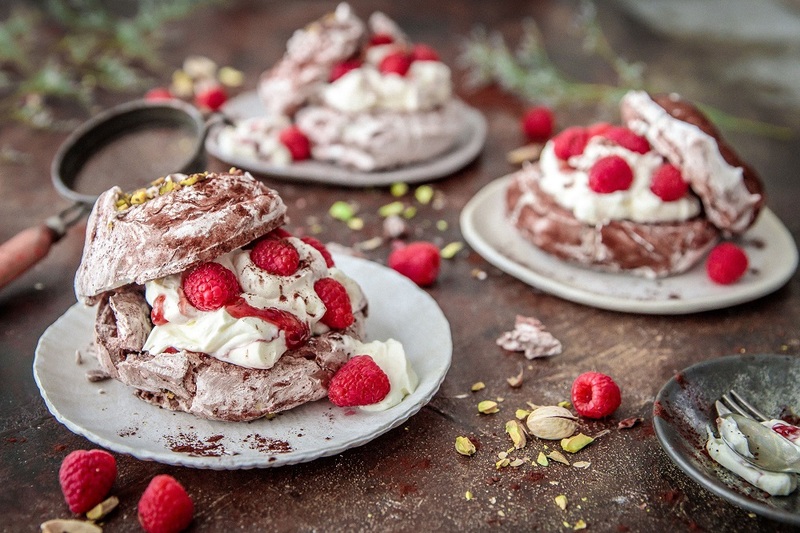 The pavlovas may have cracks or “character flaws” when cooked. This is part of their imperfect beauty.